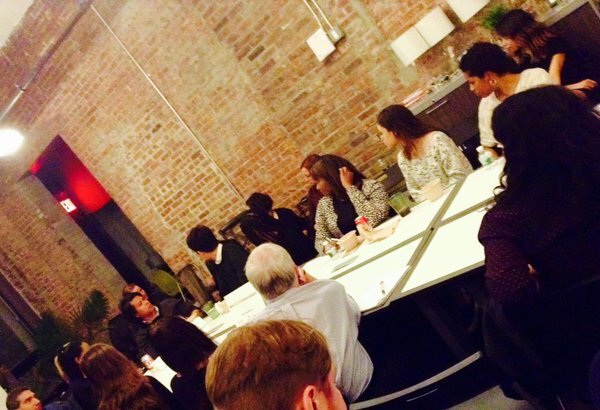 The NYC PR Innovators meetup hosted a session on The Art (and Science) of the PR Pitch at District CoWork last week, where I participated as a panelist. Over 50 people attended, and organizer Erin Commarato ran a very lively and interactive session. I am new to this meetup but will definitely be coming back, as I am extremely interested in PR innovation. Also, any forum dedicated to improving pitching is a great one, in my book. There was lots of give and take, and just about everyone got a chance to ask questions and share thoughts. Co-panelist Roger Wu of Cooperatize spoke about new opportunities in branded content, and Stacey Miller of Cision’s HARO (Help a Reporter Out) offered data and insight gleaned from her HARO role and media feedback. Not everyone agreed, but the forum gave all a chance to chime in. With Erin’s guidance and the panel’s input, we were able to build consensus on most of the topics. Our own Mike Bush did a great job live tweeting (thanks, Mike!). I share these and other tweets about the event below below (check out the expressions on our faces when the panel is stumped with a tough question). Thanks Erin, Roger, Stacey and NYC PR Innovators for a great meetup. This entry was posted in Agency news, NY Tech, PR, Public Relations and tagged media relations, PR. Bookmark the permalink.